The World Small Animal Veterinary Association (WSAVA) has launched a campaign to secure equitable access to veterinary therapeutics for veterinarians. Several leading veterinary associations have already responded to its call to sign its Position Statement on the issue. The WSAVA is also forming a Therapeutics Guidelines Group (TGG) to spearhead its efforts to improve access to veterinary therapeutics. The WSAVA, which represents more than 200,000 veterinarians worldwide through its 105 member associations, has launched the campaign to address long-standing problems experienced by companion animal veterinarians in some regions of the world in gaining access to the veterinary medicinal products they require to provide a high level of patient care. It says that these inequalities stem from a variety of factors but are commonly the result of financial or regulatory issues. The WSAVA’s Position Statement was drawn up following concerns raised by WSAVA member associations during discussions at WSAVA Member Forums during 2017. The Federation of European Companion Animal Veterinary Associations, the Federation of Asian Small Animal Veterinary Associations, the Federation of Asian Veterinary Associations, the Federación Iberoamericana de Asociaciones Veterinarias de Animales de Compañía, the Commonwealth Veterinary Association and HealthforAnimals, the global animal medicines association, have already become co-signatories in view of their mutual concern over this issue. Engaging global stakeholders to raise awareness of the issue and build a collaborative approach to resolve the issues. 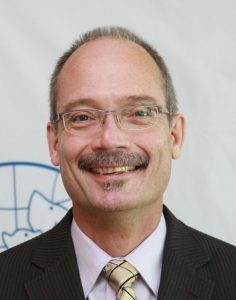 Commenting on the WSAVA’s campaign, its President Dr Walt Ingwersen said: “The ready access by veterinary professionals to diagnostics and therapeutic modalities is the foundation of proper patient care. The frequent frustration that many of our members experience in accessing the products they need is a real concern. It has a significant impact on the quality of veterinary treatment that many of them can provide with the result that many thousands of animals do not receive optimum care.